Explore how people a century ago performed the making and mending of clothes, quilts and other textiles. 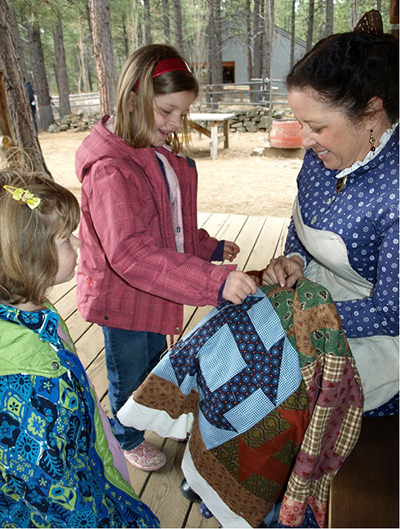 Children and adults alike can get hands on with an old-time sewing machine as well as crocheting and quilting inside the Hall of Exploration and Settlement, learning about how the work got done and how the artistry and knowledge of fiber arts were passed down through generations. Today’s Hours 9:00 a.m. to 5:00 p.m.